Don't be afraid to go dark and dramatic. 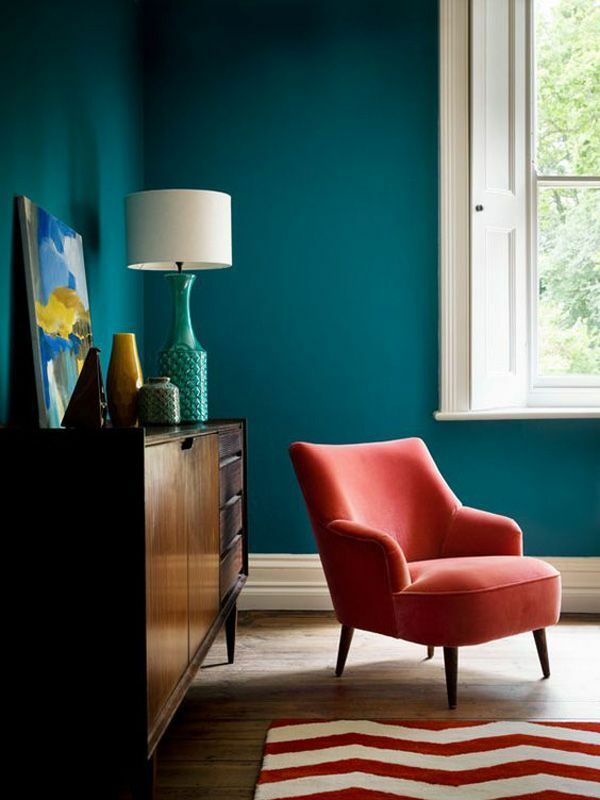 Dark walls, in deep colours and saturated hues, can give a dramatic flair, creating a sense of comfort in a room. 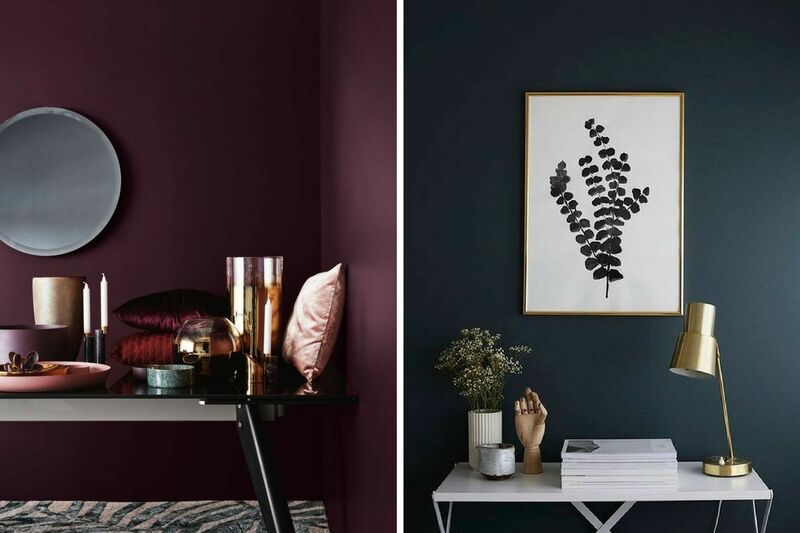 Whether you're looking to make a statement with a perfect backdrop for your art or want a makeover for your decor, dark muted wall colours can do wonders. 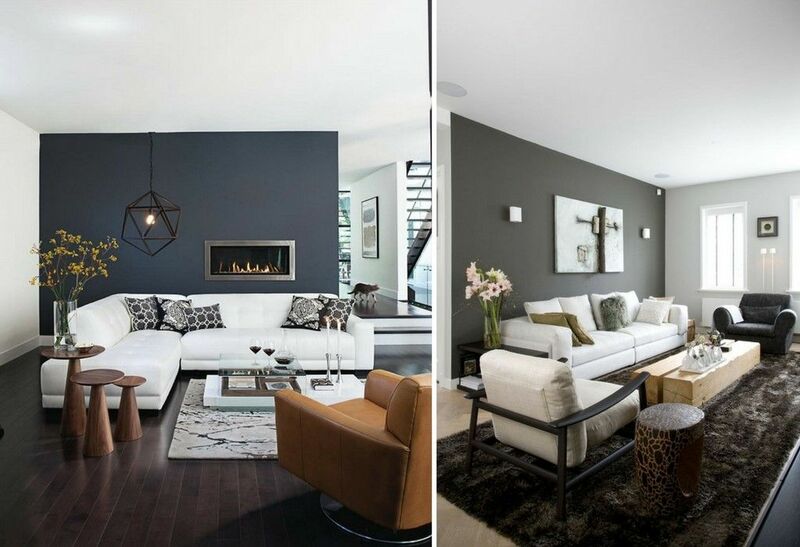 Read on for tips on how to incorporate dark and dramatic hues into your decor. Let's start with the entrance and make the first impact on your guests. 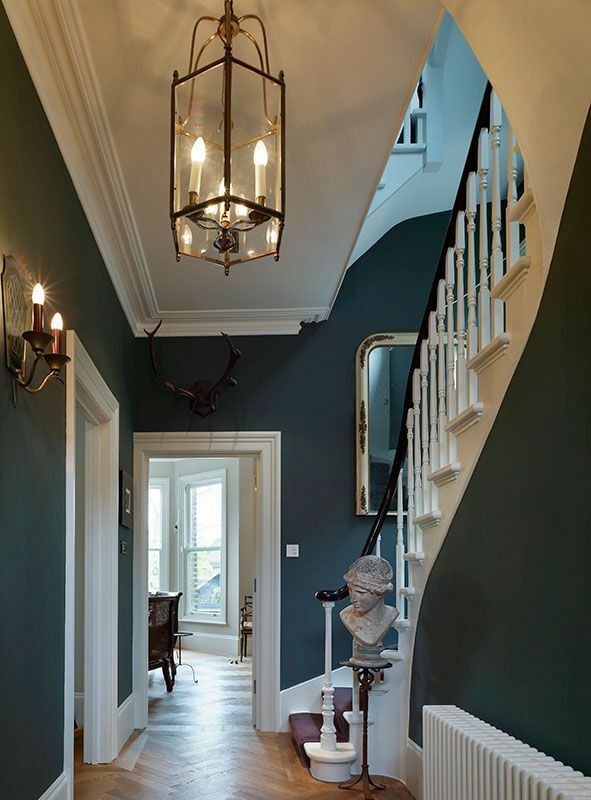 Greet your guests with an entryway painted in inviting dark colour. An easy way to add an elegant touch to your dark walls is by using the black and white photo frames. 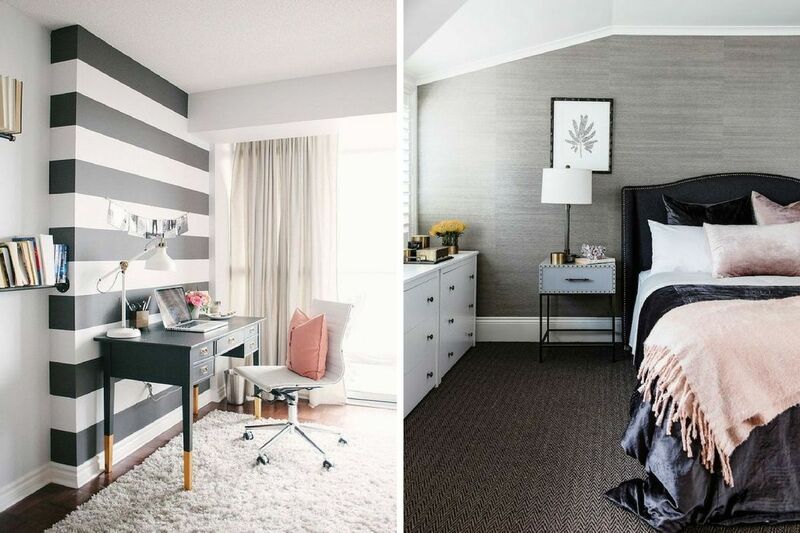 A black accent wall will look gorgeous in the bedroom or your living room, decorated with your memories and art. Create a soothing and sophisticated palette using cream or light coloured curtains against your dark walls. These curtains will look regal and will add a soft touch to your dramatic and dark decor. Add instant cosiness to your rooms using dim lighting, like the chandelier, pendant and accents bulbs. 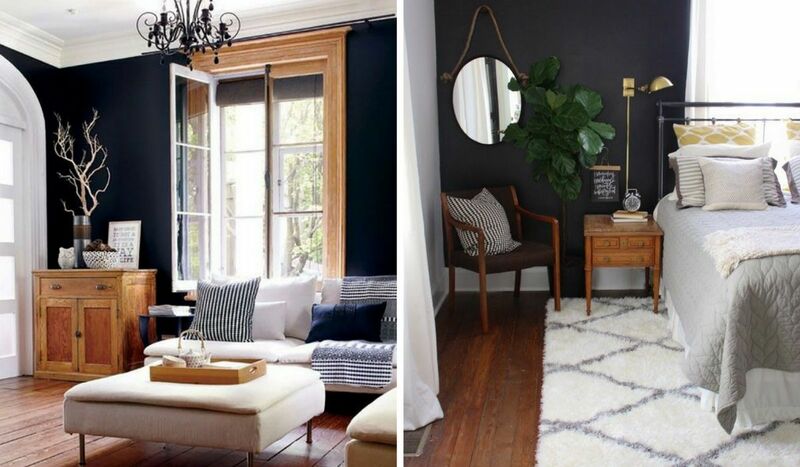 A dark accent can make your decor seem more luxurious. Gold compliments dark colours, especially black, very well. Add few decorative accessories like a golden mirror, collectables, big frames and arts. 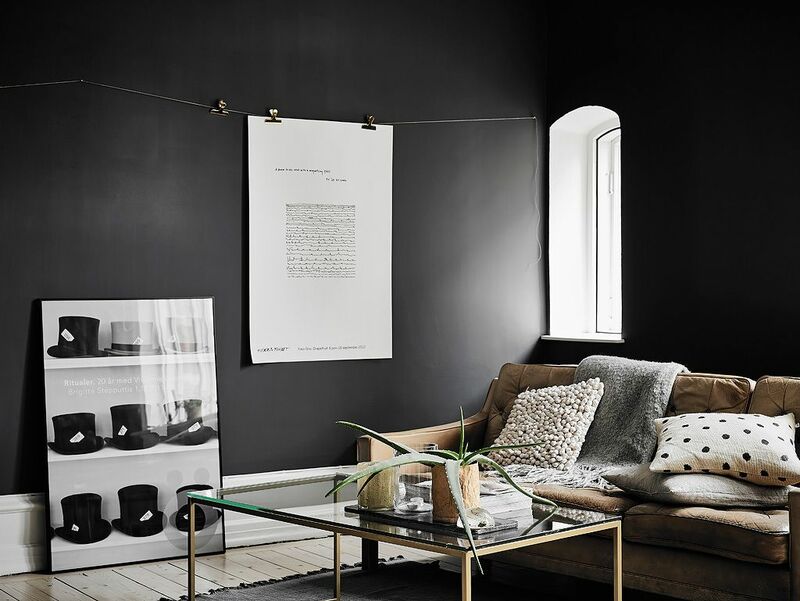 Make the best use of the dark wall as a background for displaying your precious artwork. 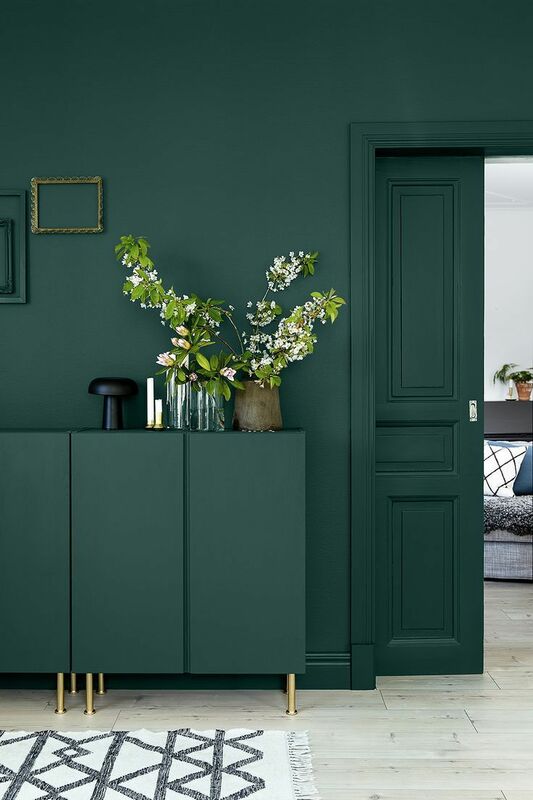 Although dark colours often seem masculine, you can also add feminine touches using floral printed curtains, an elegant chandelier or a bouquet of fresh flowers complimenting your dark walls. 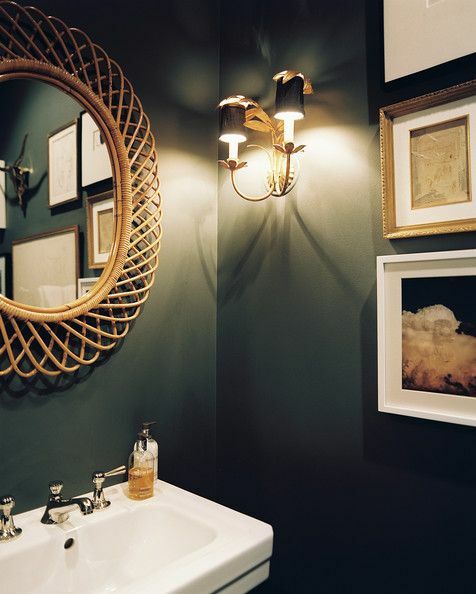 If you're tempted to incorporate dark shades in your home but scared to use dark paints, try using dark wallpaper first. This way you can incorporate dark colours in your home with patterns and designs, without stressing about changing the wall colours. Natural elements like weathered woods, woven rattans, and wide plank wooden floors will soften the dark walls. These earthy elements can turn up the depth, saturation and dimension of your decor. A dark wall is an excellent backdrop and makes any artwork pop and stand out. Go for strong contrasts by choosing accent colours, paintings, furniture or accessories to break the monotony of the decor. 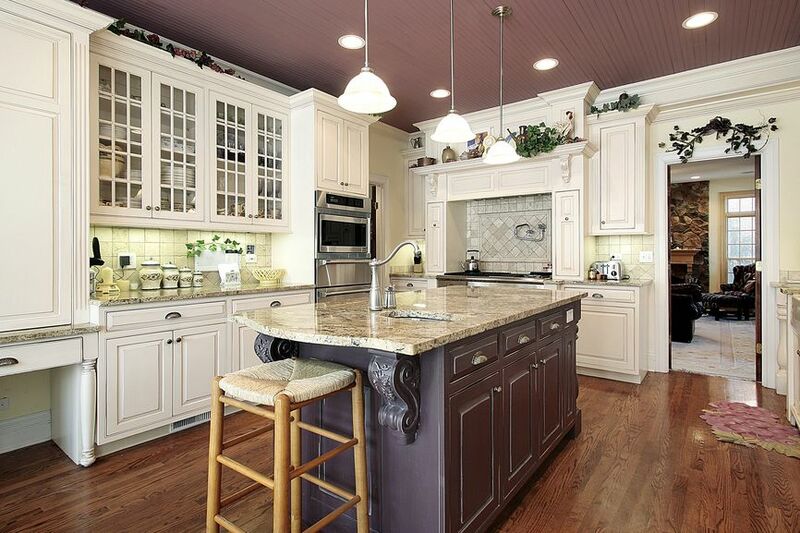 Another alternative of not painting your wall is to have a dark ceiling. A black ceiling in your games room, media room, bedroom or your contemporary living room would make your home look very chic and cohesive. 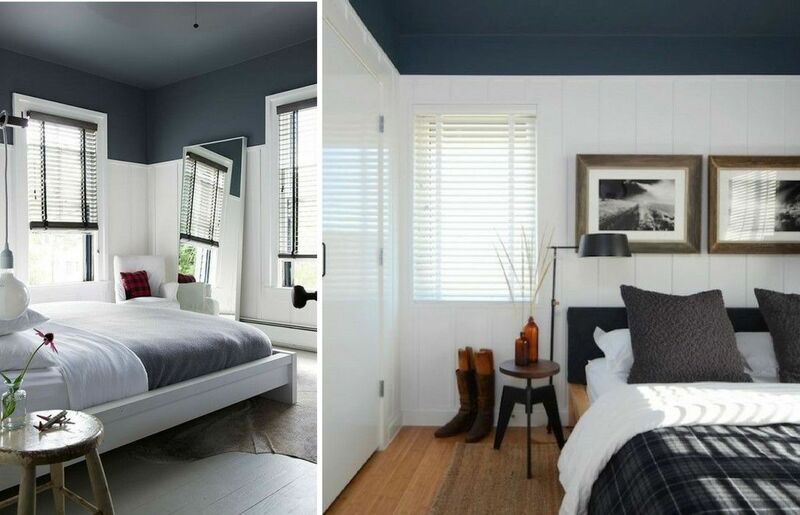 If not the entire space, you can use dark shades as accent colours to your walls. A dark wall in a white home will surely ground the openness of the decor and will anchor all the elements together. 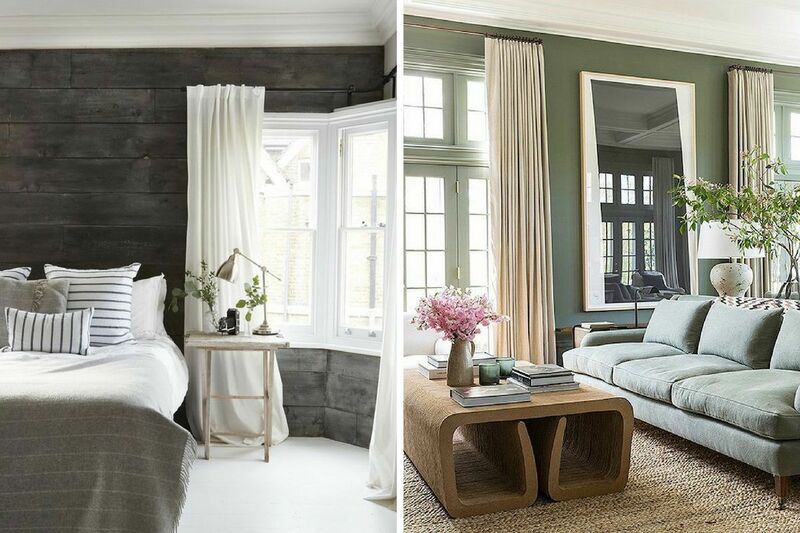 If you want your home to feel dark, dramatic as well as luxurious then go for jewel tones on your walls. 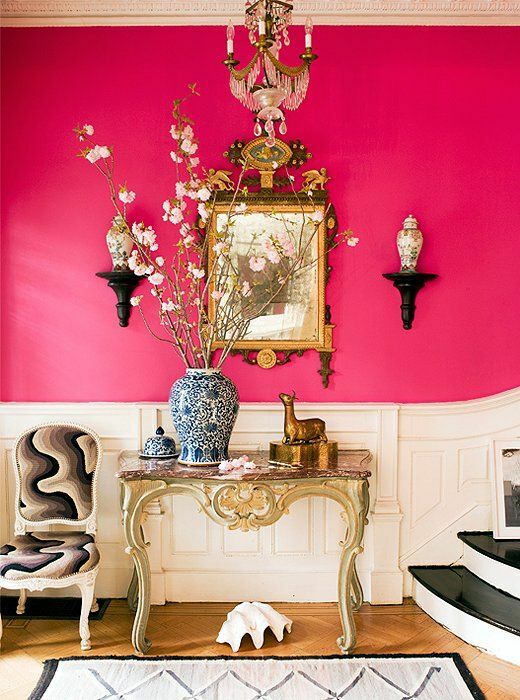 A rich jewel tone, be it sapphire, bold pink or emerald, will make your decor sparkle. Create your own jewel box with the rich and dark jewel tones. Deep colours make a powerful statement without being loud and busy. The dramatic effect that dark painted walls can create is unmatched and the result will be a room that envelops you. Bring life into your space adding vibrancy and energy that especially comes with dark colours. 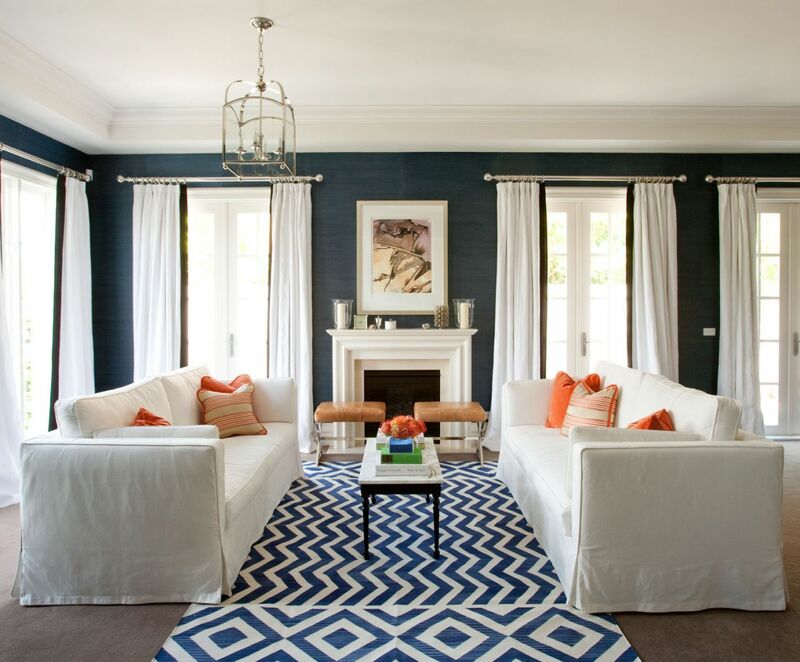 So don’t be afraid incorporating dark walls into your home décor.